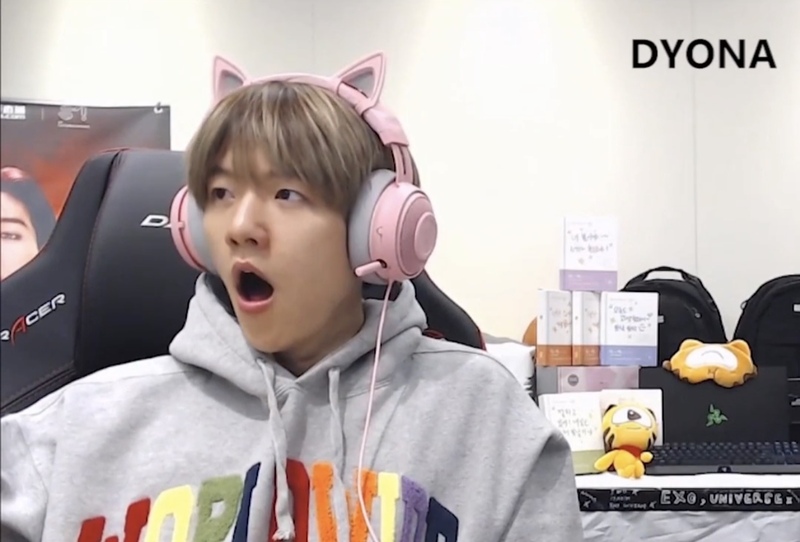 Baekhyun’s headset took Sehun by a huge surprised. 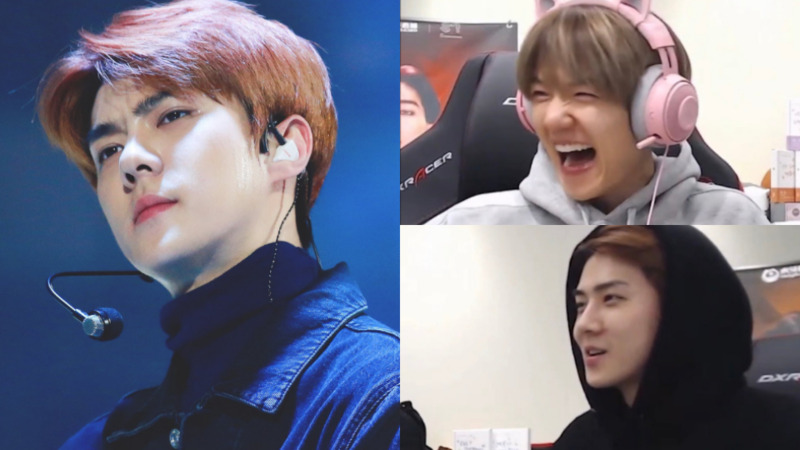 Sehun and Baekhyun went live for ‘SM Super League’ on its October 10th episode. Before the start of the game, Baekhyun was getting ready and put on his headset when Sehun was still not ready. 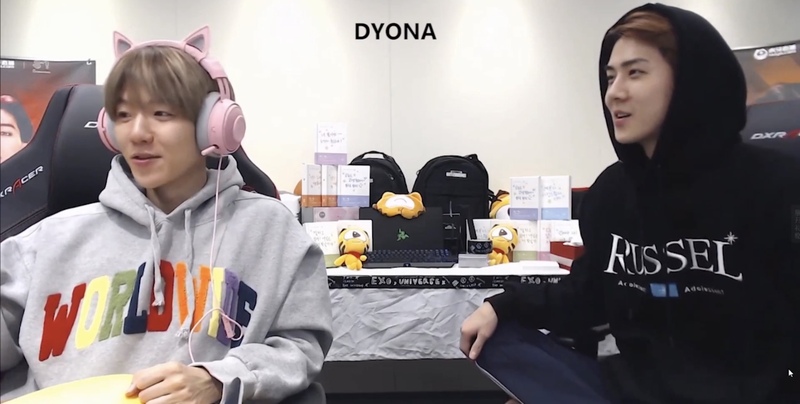 Unlike the usual headsets Baekhyun wore, the headset on that day was in pink with cat ears that looked adorable in the eyes of every single fan.